Nick Morgan shows how anyone can be an effective speaker by presenting an image of authenticity and respect for their audience, whether in a group presentation or a one-on-one conversation. He presents a four-step process, perfected in his teaching at Harvard, that enables the reader to use their own personal speaking style while becoming a more persuasive and charismatic communicator and leader. The basis of this process is the fact that when words and body language are in conflict, body language wins every time. This isn't easy to overcome, because normally body language is immediate, while the words lag slightly behind, and even a momentary conflict is perceptible to the audience. The key to success is to train your body language to unconsciously align with your message. Nick Morgan, founder of Public Words Inc., is one of America's top communication and speech coaches. He is a former Fellow at Harvard's Kennedy School of Government, affiliated with the Center for Public Leadership, and served as editor of the Harvard Management Communication Letter. He is the author of the acclaimed book Working the Room, reprinted in paperback as Give Your Speech, Change the World. 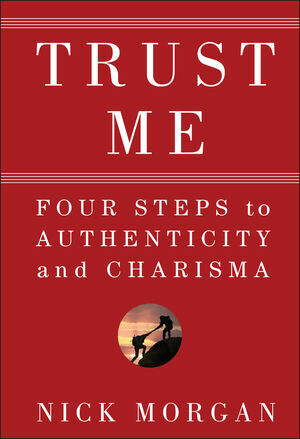 1 Leaders Need Both Charisma and Authenticity. 2 Aligning the Two Conversations Will Make You a Powerful Communicator. 3 Being Open, Part One: How to Master the Verbal Conversation. 4 Being Open, Part Two: How to Master the Nonverbal Conversation. 5 Being Connected, Part One: How to Master the Verbal Connection. 6 Being Connected, Part Two: How to Master the Nonverbal Connection. 7 How to Be Passionate with Content. 8 How to Be Passionate Nonverbally. 9 Listening, Part One: How to Listen Verbally — and Charismatically. 10 Listening, Part Two: How to Listen Nonverbally — and Charismatically. 11 How to Read Others. 12 Principles of Persuasive Content. 13 Principles of Persuasive Nonverbal Communication. 14 Conclusion: Leadership Is Communication.